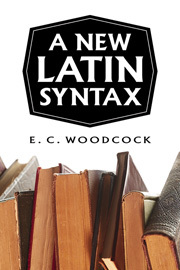 This book gives a historical account of the chief Latin constructions, aiming to equip students to interpret texts as well as to write correct Latin. The index of passages quoted makes it useful as a reference work for teachers. This is a necessary reference and an indispensable vade mecum for teachers and advanced students. …a discussion of syntax that is more modern and more historically and relativistically treated than what is in the standard grammars.